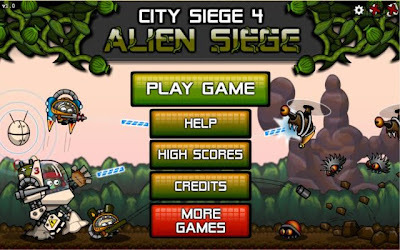 City Siege 4: Alien Siege is the fourth installment of the City Siege franchise and the first to be set on another planet. Arm yourself with advanced units and laser guns and take on the evil plants from this crazy world. After all they have valuable gems we need. Oh, and there are also some humans they abducted for you to save. Get out there and kick some alien!